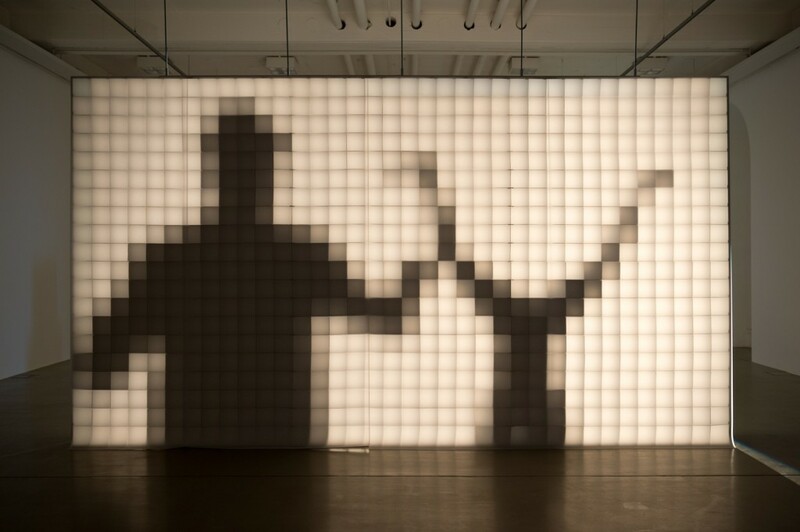 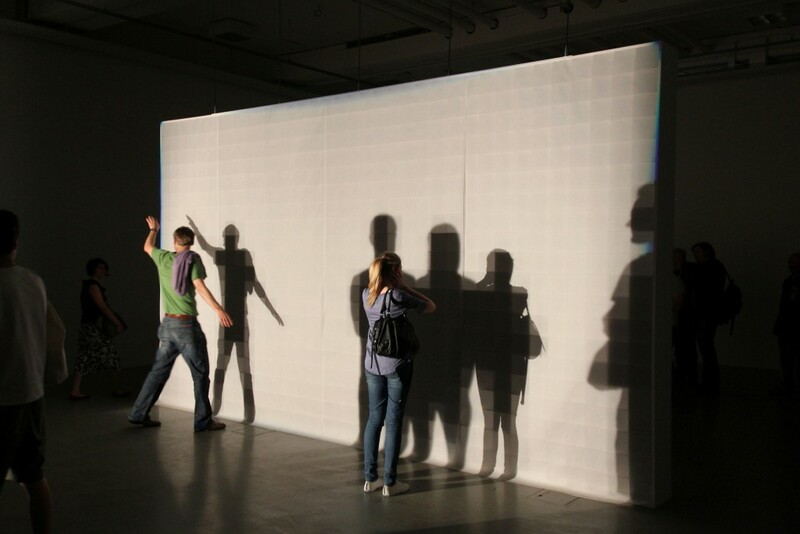 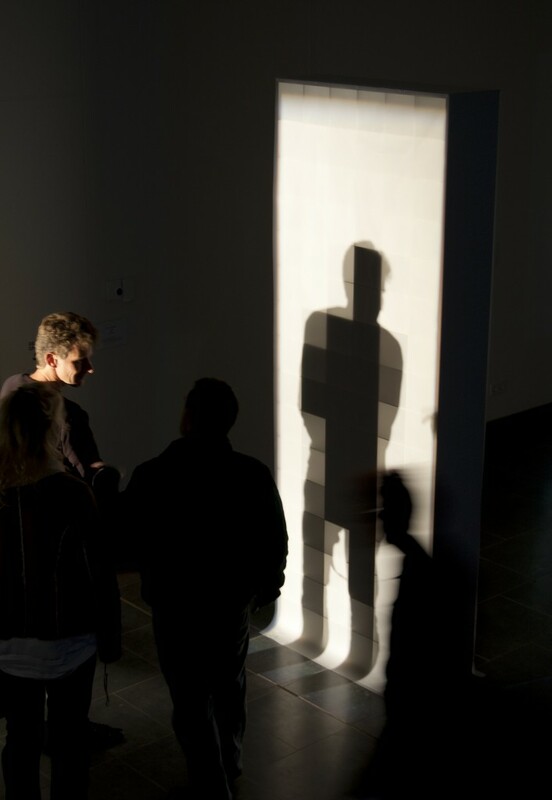 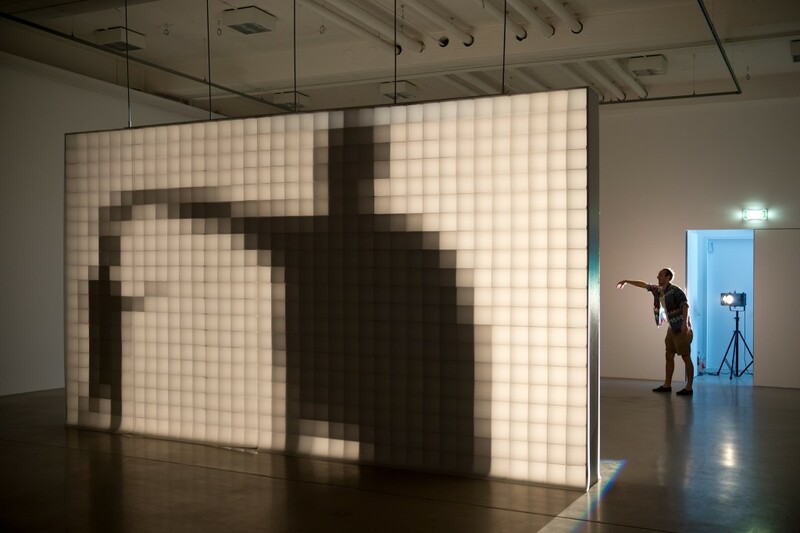 0,16 is a light installation in which the shadows of a passer-by is transformed into ‘pixels’. 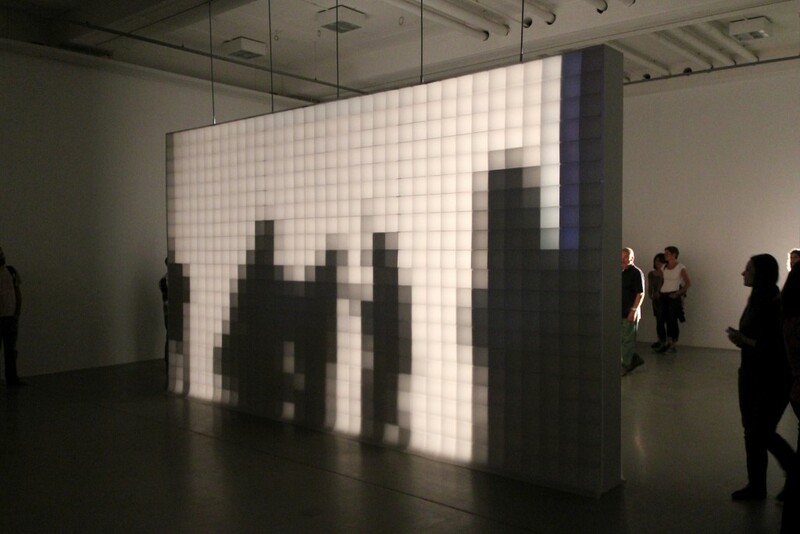 The installation consists of a wall built of small square frames covered front and back with transparent paper. 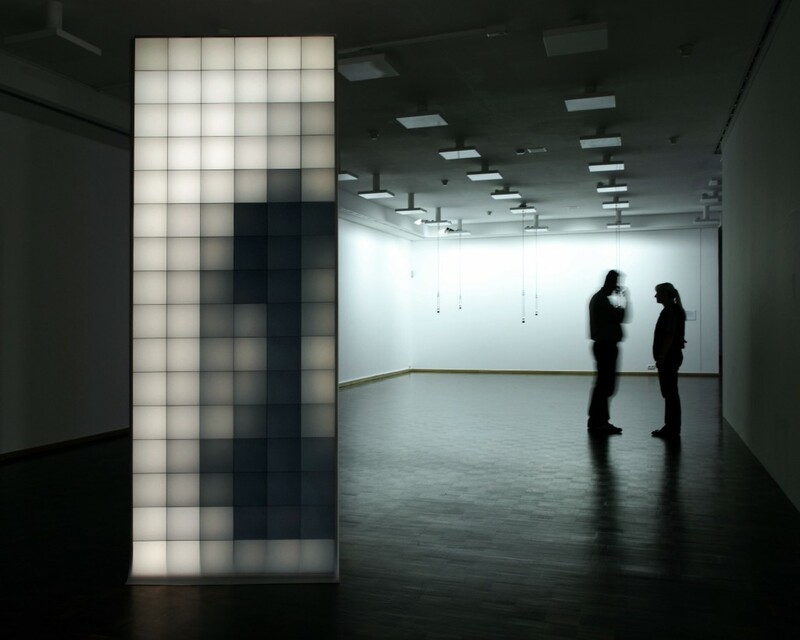 A third layer of paper is attached in the centre of the frames. 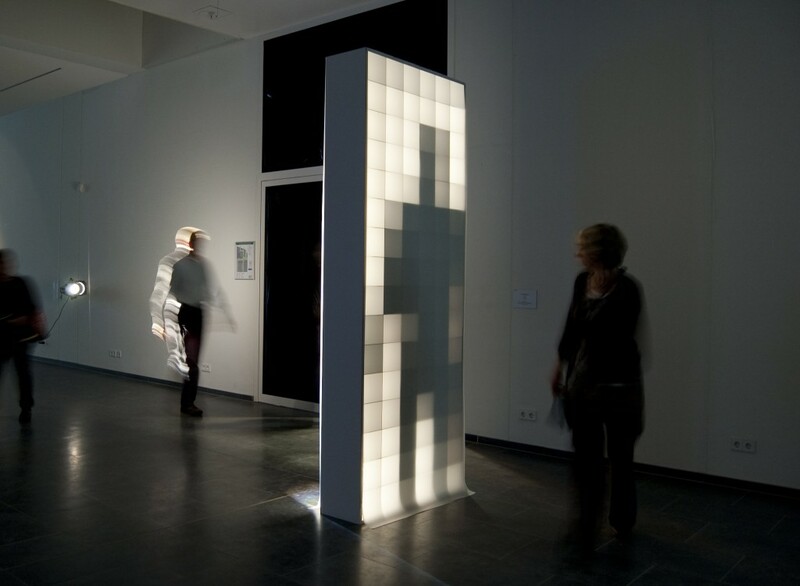 A lamp shining at a distance breaks the shadows of the passers-by into squares, allowing a pixellated human figure to be seen on the other site of the installation. 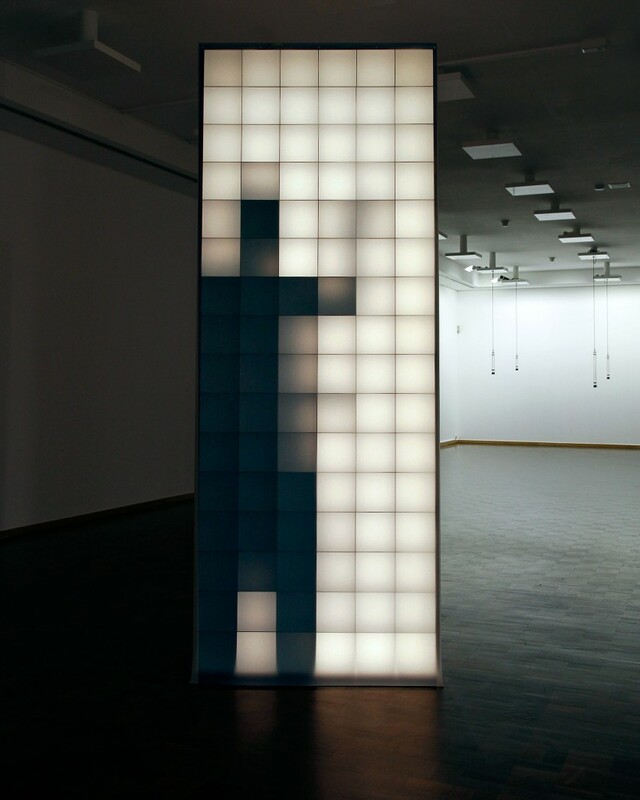 In this simple way, Bartholl renders tangible the pixels found in the world of digital communications. 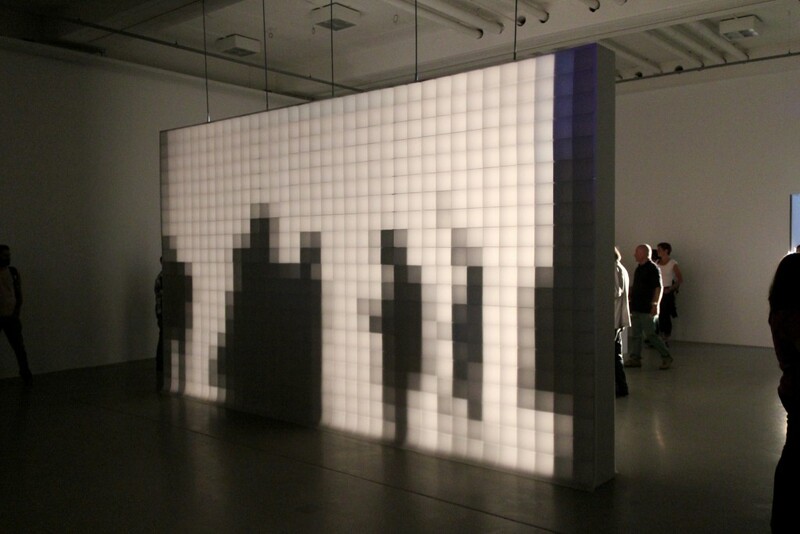 The ‘resolution’ of the screen is 0,16 ppi (pixels per inch), hence the title.